Q. I recently bought an older house with a stone foundation that sits directly on solid bedrock. The size is 24' x 28' I occasionally get a little bit of water seepage after a couple days of steady rain. I am hoping to make this basement into a finished area at some point but am restricted on the ceiling height around the duct work and main support beam. The bedrock has natural high and low spots with the highest point of course right under the main beam. 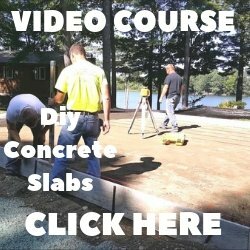 How thick does the concrete need to be?? As I said, we do occasionally get water in the basement, but it just seeps along the foundation, or through a couple cracks in the bedrock. One corner would be low enough that I could form a sump pit there. Is the concrete dense enough to stop that seepage or do I need to put a layer of stone down first so the water could flow to a sump pit? I plan on spray foaming the walls after the floor is poured. 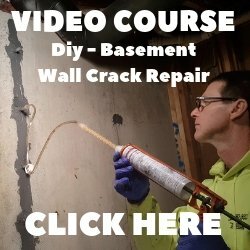 Would the spray foam bond to the concrete and make a water tight seal?? I don't know if I have provided enough information about my situation, but any advice would be greatly appreciated! A. We pour concrete floors in older houses like this all the time. If the water seepage is coming through the walls, you can cut some strips of 2" styrofoam the thickness of the floor and set them against the inside of the walls all the way around the perimeter. You will pour your new floor against the styrofoam and pull out the styrofoam the next day leaving a 2" groove around the perimeter to catch any water leaking through the walls. Connect the groove to a corner drain, sump pump, or dig a hole for a 5 gallon bucket in a corner to install a small sump pump. The minimum thickness over the high spots is 2" for pouring over solid bedrock. I would install a poly vapor barrier (10 mil) under the slab. If water is seeping up through the bedrock, you should lay 2" of crushed stone over the bedrock, then the poly, then pour your new floor.